Pay attention to how flat-looking the skin looks in the photo on the left, versus the right. Her whole look: eyeshadow, lips and skin, is quite matte and flat. I encourage you to inspect the look on the right. The skin has a satin finish, not too dewy and not completely matte. The finish on the eyes and lips is also a satin- it catches the light beautifully and looks fresh. The eyes have a luminosity, a glow that is warm, flattering and natural looking. The lashes look full and defined, no harsh black liquid liner. Those lashes look like her own (wink wink). 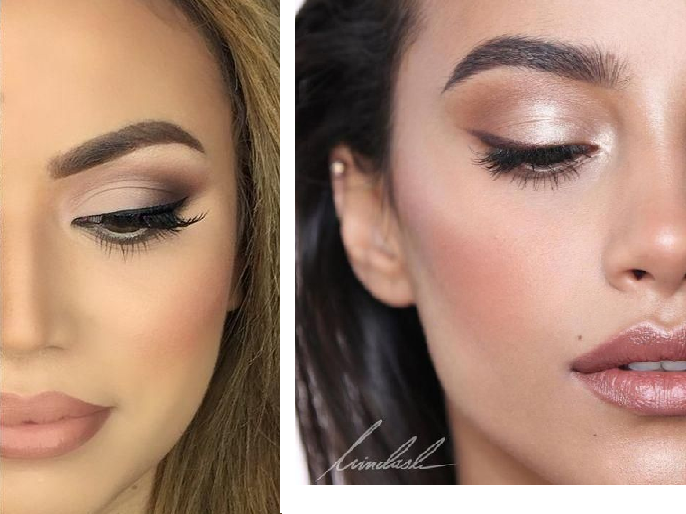 The lips look full and creamy- unlike the matte lipstick on the left; where you can see the lip lines more.Finally the brows, I think speak for themselves. 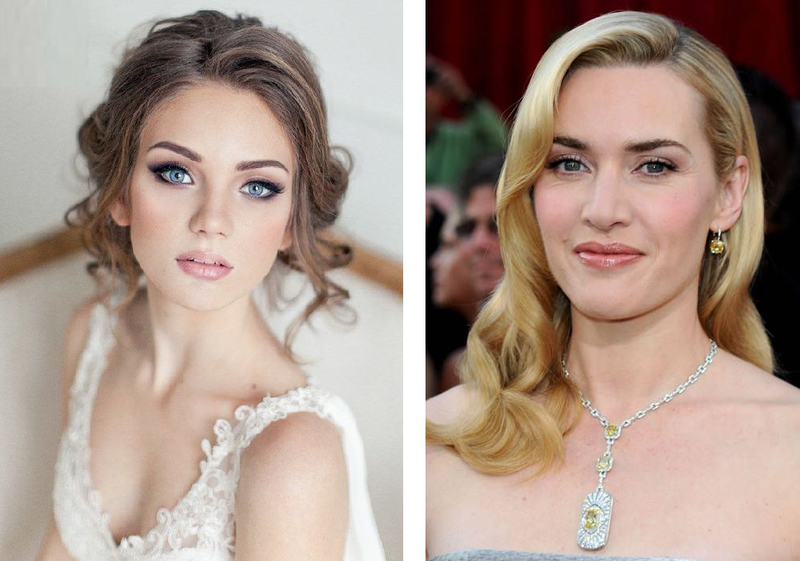 I want the take-away here to be the skin and the overall finish of the makeup- soft and glowing with definition, that is the perfect bridal makeup, in my opinion. Again, skin is the focus here, as well as lashes. Listen; skin has texture, and we can pretend it doesn't, in this filtered, Instagram world, but when you are face to face with someone, you better believe they can see it. And, there's nothing wrong with that! Skin is alive, and should look like it. When I look at the image on the left, I see lashes first, then the rest of the face. When I look at the photo on the right, I see a glowing goddess, a natural beauty enhanced with makeup. The skin looks lush and glowy; whereas the skin on the left looks quite flat, and to be honest, really fake. I think makeup can really do a lot, but it cannot remove every bit of texture or fine lines, that's lighting and photo shop. Let's choose real beauty, real skin and a real glow from within. See those expression lines, see that peach fuzz? That's real skin on the right. I love how Kate's cheeks have a natural flush to them, how her glassy lips catch the light. If you want to see real makeup on real faces, real smile lines, look at red carpet makeup. The image on the left is highly edited, lit from many angles and posed in such a way where her expression lines are subdued. If it is your wedding day, you will probably be grinning a lot. I mean it is the happiest day of your life. So smile big, and know that you will have some expression lines, and that is perfectly okay, that's normal! Kate still looks very beautiful, stunning- even though she has some expression lines, around her eyes and mouth. I think she is more inspiring than the model on the left. Parking is available on the street. Professional bridal makeup artist based in Toronto. 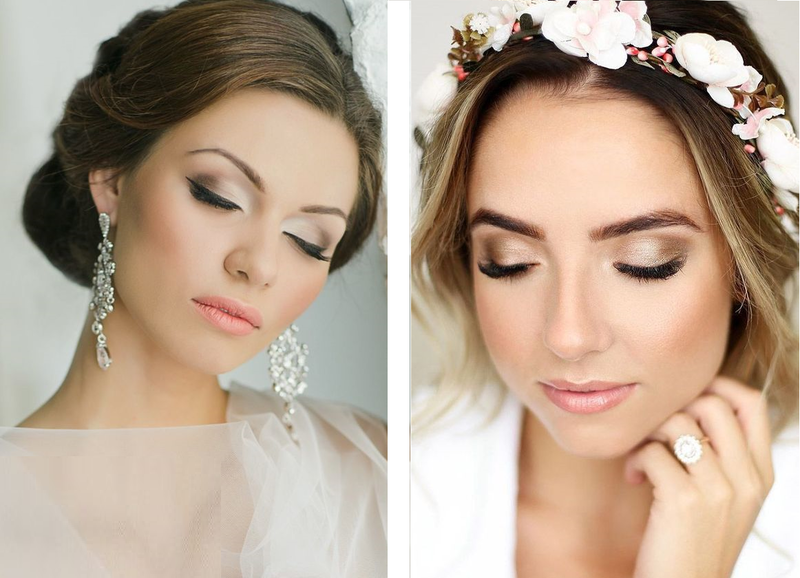 Makeup artist services for brides, weddings and special events. Services are offered at our home studio, or at the client's location. April 2019 marks ten years in the beauty industry! We also provide one on one makeup lessons (personal classes) to all ages and skill levels. Call or text to book, for more information or for a quote. Special hours for the holidays, please contact. EMT (e-transfer), cash and check are accepted. Debit and credit cards are NOT accepted.